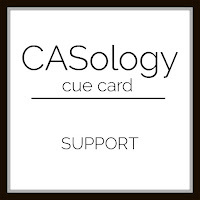 This week's CASology Cue Card is Support. I wanted to make the most of the vertical positioning of this A Jillian Vance Design sentiment (it's actually from a Christmas set! ), so I turned a little frame on its side. I used bold, vibrant colours - on the large expanse of white, they really pop and capture attention! Now it's your turn - we all need a little support from time to time. We can't wait to see what you come up with! Impressive combination of elements to form this perfectly CAS card. What an eye catching card Ardyth!! 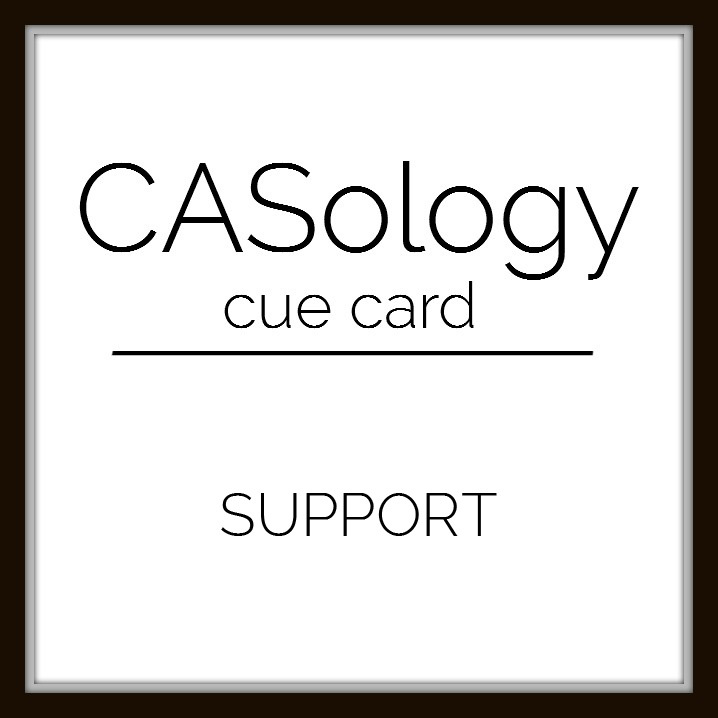 The tilted bold sentiment is perfect on this CAS card. Well, if that ain't a CAS card! It's always stunning to see you create such an impact with so little supplies. Brilliant!